Augustin Manchon is a global expert in pricing. He is a passionate architect of innovative growth, a relentless builder of sustainable capabilities, a strategic technology enabler and the personal coach of several CEOs, CMOs and CFOs in both Canada and the USA. He brings breakthrough thinking, innovative solutions, entrepreneurial courage and solid bottom line results to every project. His extensive, international analytical and mathematical education, is rounded by extensive global experience with Fortune 500 organizations in six countries on three continents. His leadership performance includes partnership positions at world class consulting firms. Prior to founding Manchon Consulting, Augustin Manchon was a partner of Deloitte, Accenture and Simon-Kucher & Partners. At Deloitte Augustin was in charge of all the category management work with the Canadian retail clients and he led the marketing and strategy work with the largest US retail clients. At Accenture, Augustin was in charge of all the front office retail work in Canada: pricing, vendor negotiation, merchandising, assortment optimization, loyalty, analytics, markdown management, customer value, marketing ROI and decision support technology. He was the founder and global leader of the Pricing and Profitability Practice, covering: strategy, process, technology and organizational change and grew it to $85M, making it world leader in 18 months. 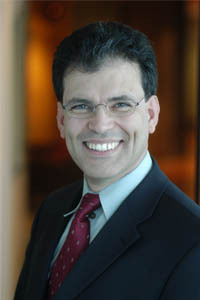 At Simon-Kucher & Partners , he was the managing partner of the Canadian office. Chairs regular conferences in Toronto on topics such as “Key Capabilities to Respond to the Current Downturn”. Keynote speaker at the Professional Pricing Society, the National Retail Federation, the Retail Council of Canada, the Food and Consumer Products of Canada and the Canadian Marketing Association. Past Chair of the Pricex conferences. Guest on CBC Television and Radio France. Interviews in the Globe & Mail, National Post, CFO Magazine, CIO Magazine, Marketing Magazine and Korean Herald. Vice President of Strategy and Thought Leadership of the Strategic Leadership Council of Canada. He is a past member of the board of directors of the Business Marketing Association serving as its Executive Vice President for B2B Marketing Thought Leadership and Best Practices. Augustin holds an MBA from HEC-Paris, ESADE-Barcelona and Stern-New York University and a BS in Mathematiques. He holds the second highest examination score of the Certified Management Consultant Institute of Canada.